Why reinvent the wheel? And by extension, why keep re-typing or copy/pasting commonly used pieces of code over and over again? Copying and pasting pieces of code into text files are disorganized and wastes your precious time. Instead, you can use code snippets to managers those code snippets you use on a regular basis. These applications let you save, organize, and call upon your code snippets whenever you need them – for practically all of the major programming languages. These applications will make your development life so much easier. So peruse through the list, see which one(s) would fit your workflow. 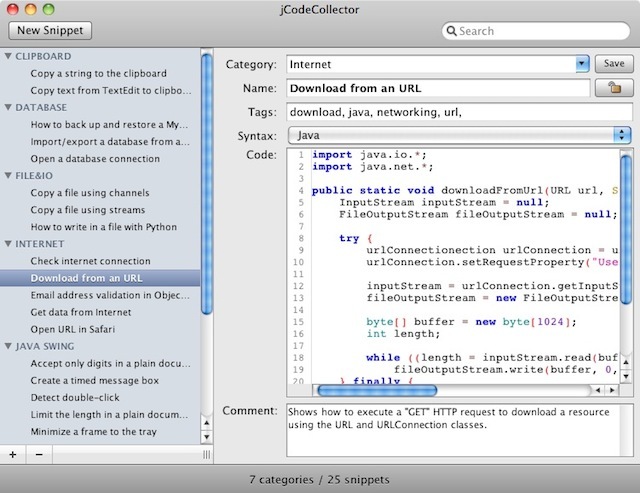 jCodeCollector is a free cross-platform application that helps you manage your code snippets. It is written in Java. Snippet Manager is a free utility for managing your code snippets in a variety of languages: VB, C++, C#, Java, SQL, ASP, PHP, HTML, even COBOL, Assembler, and Fortran. You can also use Snippet Manager to manage plain ASCII text data. With the developer-focused search tool, you can find the code you need by using regular expressions or simple search criteria: language, category, dependencies, keywords or the actual code that you are looking for. You can also publish your snippets online for your personal or company use, and password-protect them so only those you want can access them. 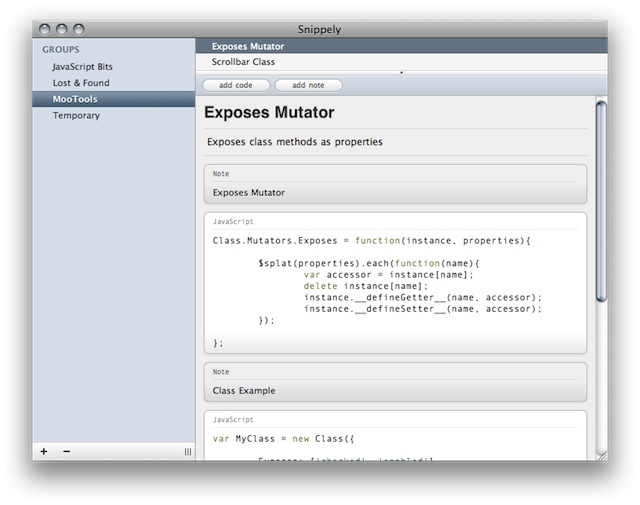 Snippely is a free basic text and code organizational tool. By using it, you can save, organize and retrieve your snippets in one convenient location. Snippely is built on the Adobe AIR platform, so after installing the cross-platform AIR, you can use it on all modern operating systems. 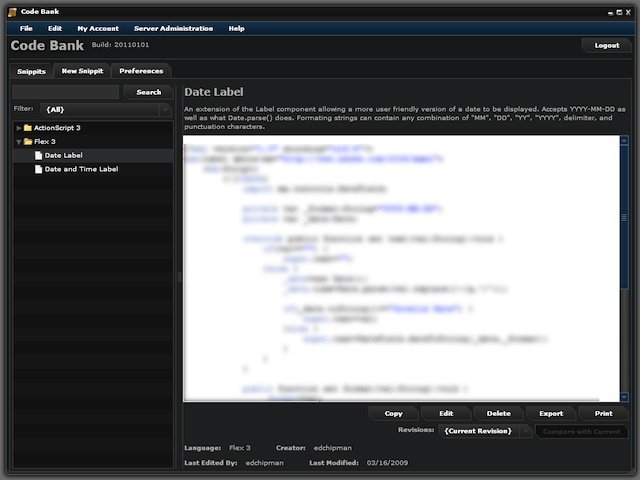 Code Bank is a free code snippet manager with support for a local database as well as a shared database. With the serverside application, you can share a code snippet library between multiple users. 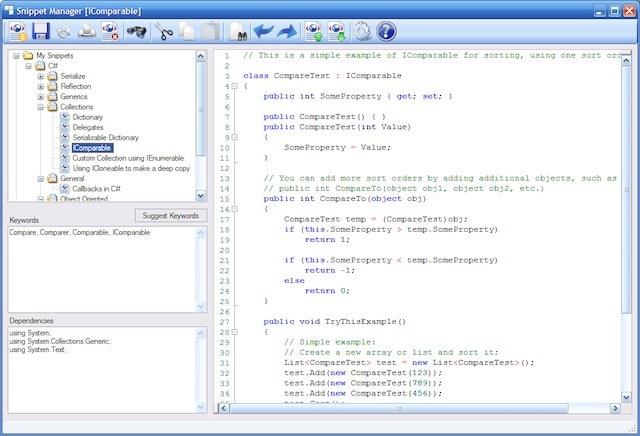 It has syntax highlighting for many languages and a simple revision history with a compare viewer for seeing side-by-side changes between two revisions. Code Bank is built on the Adobe AIR platform, so after installing the cross-platform AIR, you can use it on all modern operating systems. Snippet Monkey saves you countless hours by allowing you to create shortcuts for your snippets as well as phrases you frequently type. Create new snippets from the clipboard or via the easy-to-use snippet editor. As mentioned, besides code snippets Snippet Monkey supports plain text, images, date and time (your choice of format), nested snippets, and cursor location commands. 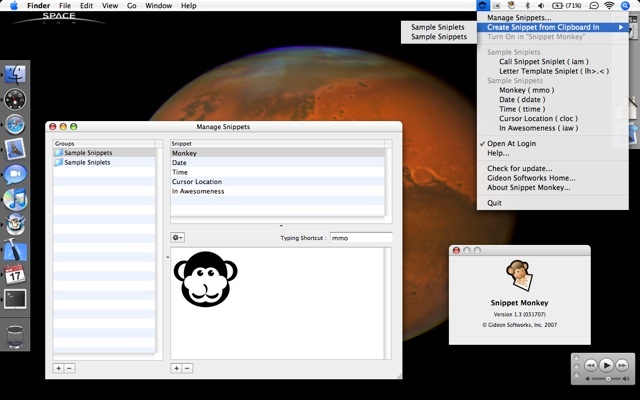 Snippet Monkey isn’t 100% free but rather shareware – should you choose to pay it’s only $12 though. What Applications Do You Use? Your turn: what desktop applications do you use for managing your code snippets? Which applications from this list? Feel free to share your favorites in the comments section below.